Jim Mone/APUnitedHealth Group is said to be interested in buying Aetna. Should that happen, half the country could soon be getting its health coverage from just two mega-health-insurers. "Generally speaking, further consolidation in the health insurance industry is not a good thing for consumers, employers or medical providers ... It means the potential for future price increases as a result of less competition." And yet, "further consolidation in the health insurance industry" is exactly what we're getting. Last month, giant consumer health insurance company Anthem (ANTM) -- the insurer formerly known as WellPoint -- confirmed that it is proceeding full speed ahead with its plan to absorb Cigna (CI), a health insurer half its size. Together, the two insurers will employ some 89,000 workers, and take in more than $115 billion in annual revenues. In a statement on the merger, Anthem noted that "the combined company will cover approximately 53 million medical members" -- nearly 1 in 5 Americans. Data from S&P Capital IQ suggest the concentration could be even bigger than that. Total membership at Anthem is stated at 58.4 million souls. Total membership at Cigna: 27.4 million. That's 85 million members (although there may be some overlap between the two groups). At the same time as Anthem swallows Cigna, rival megainsurer Aetna (AET) is buying Humana (HUM) for $35 billion. Aetna boasts 54.4 million total members; Humana, 21.5 million. Assuming both the Anthem-Cigna and Aetna-Humana deals go through, this will make Anthem and Aetna two of the largest publicly traded health insurers in the nation. 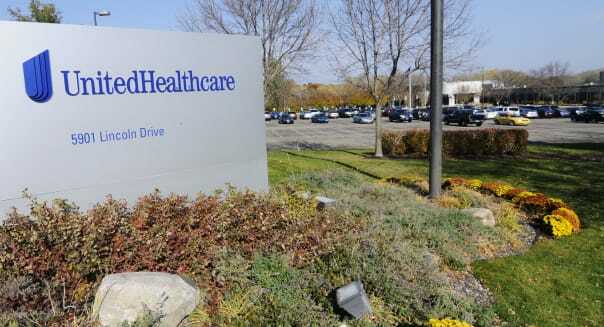 UnitedHealth Group (UNH), said to have 41.6 million U.S. members "across commercial, Medicaid and Medicare segments" alone, is the third. Again, there's likely some overlap among all of these numbers, but just tallying them all up, before accounting for overlap, we get the astonishing sum of 203.3 million Americans getting one form or another of medical insurance from these companies -- more than half the country. What's more, UnitedHealth Group itself is said to be interested in buying Aetna. If that happens, half the country could soon be getting its health coverage from just two mega-health-insurers: UnitedHealth and Anthem. What is going on here? And is it good news or bad news for you? Joe Swedish, current CEO of Anthem and soon-to-be-CEO of a merged Anthem and Cigna, says his company's absorption of Cigna will help it to "serve the evolving health care market with increased participation by individual consumers and growth in the government business and the need for solutions that advance affordability, choice and quality." And while that's seemingly a self-serving statement, it's not necessarily untrue. Experts note that as insurers grow in size, and have more business to offer to both pharmaceutical companies on one hand and hospitals and other caregivers on the other, they are in a better position to negotiate lower prices for drugs and medical services. These lower prices can then be passed on to insurance plan members. Additionally, Swedish says that the merger of Anthem with Cigna should permit the company to make significant cost cuts within the companies' own internal bureaucracies, eliminating as much as $2 billion in costs within two years of a merger -- which is even more savings that could be passed along to consumers. Just because these companies can cut costs for consumers, of course, doesn't mean that they will. After all, the more insurance companies that merge, the fewer insurance companies remain to compete with. Thus, the merging of insurers can work to decrease competition in the market. Publicly traded insurance companies, beholden to shareholders who like to see profits grow every year, may be tempted to keep any savings from their mergers for themselves (and their shareholders), passing little of the savings on to consumers. Indeed, a recent analysis of trends by the American Medical Association argues that consolidation to date is already yielding "a serious decline in competition" among insurers -- and consequently, we assume, higher prices. Backing up that analysis, Politico reports that health insurance costs are set to skyrocket in 2016. Especially in states where one insurer owns a dominant market share, Politico is reporting insurance premium rate increase requests as high as 25, 30 and even 50 percent. Long story short: Anthem's argument that consolidation in the health insurance industry is good for consumers might turn out to be true -- but the evidence is against it. First five big insurers, then three big insurers, then two? Motley Fool contributor Rich Smith wonders if what we're really doing is taking a roundabout route to "single-payer" health coverage. The Motley Fool recommends Anthem and UnitedHealth Group. Try any of our Foolish newsletter services free for 30 days. Try any of our Foolish newsletter services free for 30 days. Check out our free report on one great stock to buy for 2015 and beyond.